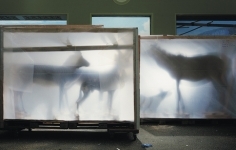 Foley Gallery is pleased to present a solo exhibition of photographer Richard Barnes. 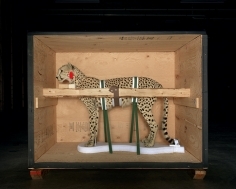 Examining the role of the museum in contemporary culture, Animal Logic is a behind-the-scenes look at the curatorial process of evaluation and representation. 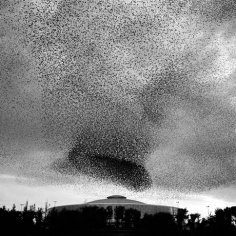 Exhibited concurrently will be Barnes’s Murmur, a photographic series of the flight formations of starlings. The contrast is stark between the free and living natural world of Murmur and the frozen world of affectation in Animal Logic. 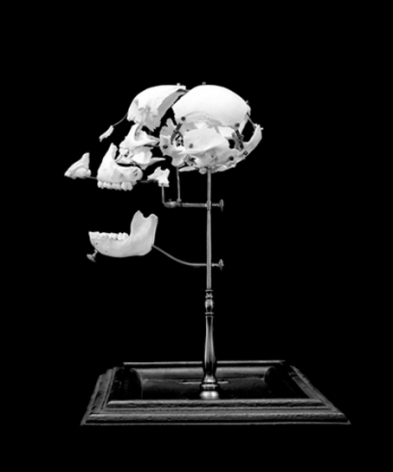 Barnes’s work investigates the relevance of context in archeology, insisting that the viewer to look past what is being displayed to question why and to what effect. Though the objects in each photograph are natural artifacts, the true subject here is the human hand, which chooses and arranges, imbuing the objects and the spaces themselves with importance, relevance, and value. 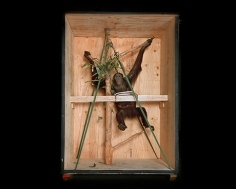 Carefully placed behind glass or in front of a painted scenery, draped in protective sheathing or crated, the taxidermied animals and propped skeletons convey a tension between their original wild, living context and the imitation thereof as approximated by their current containers. Implicit in the artistry of each synthetic wilderness display is the fact that in order to observe, we must first destroy and dissemble. 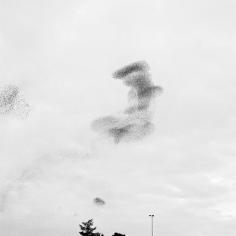 In Murmur, Barnes observes the flocks of starlings that cloud the skies of EUR, a suburb of Rome. In this series, Barnes depicts nature as it behaves on it’s own, alive and breathing. The photographs capture the birds’ aerial displays, which seem to take on the form of suspended mesh sculpture. The two visual essays juxtapose nature as displayed by museums with the uncontrollable fluctuation of nature as it moves on its own. 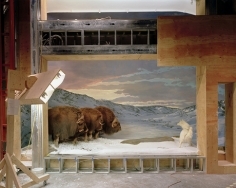 Animal Logic will remain on view until June 5, 2010. 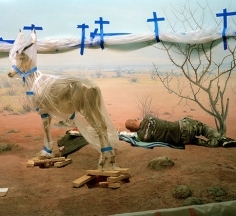 Foley Gallery is open Tuesday - Saturday 11AM - 6PM. For more information or to request images, please contact the gallery at 212.244.9081 or via email at info@foleygallery.com.